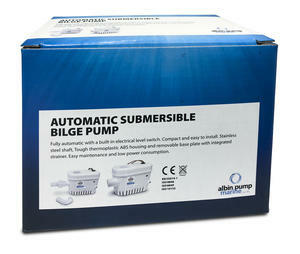 Fully automatic bilge pump 24V, automatic activation with a built in electrical level switch. 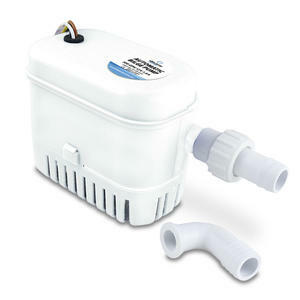 Pump capacity 50 L/min (750 GPH) and 42 L/min (660 GPH) at 1m head. Stainless steel shaft, compact and easy to install. 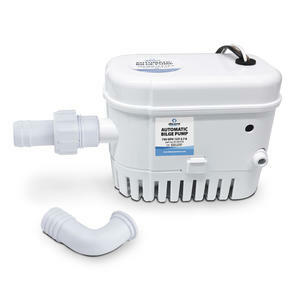 Tough thermoplastic ABS housing and removable base plate with strainer integrated. 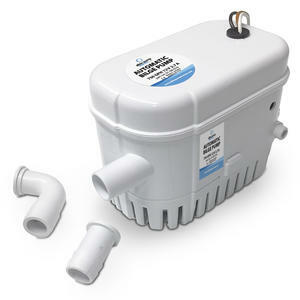 Easy maintenance and low power consumption. A three wire design allows for automatic, manual or override mode. Including 19 mm (3/4") straight and elbow detachable discharge ports. 1,5A fuse. For pleasure boats from 6m (18 Ft) to 8m (25 Ft) length.